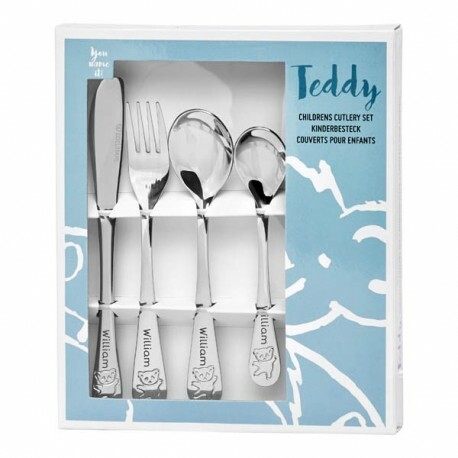 We can propose this super fine and exclusive set for children with a nice teddy bear and the child’s name. 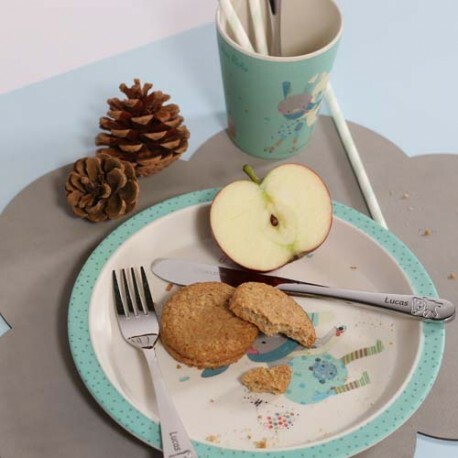 This only makes the meals more fun because the child has some sweet motives to look at during the meal. You can choose the text you want, as well as the desired font. 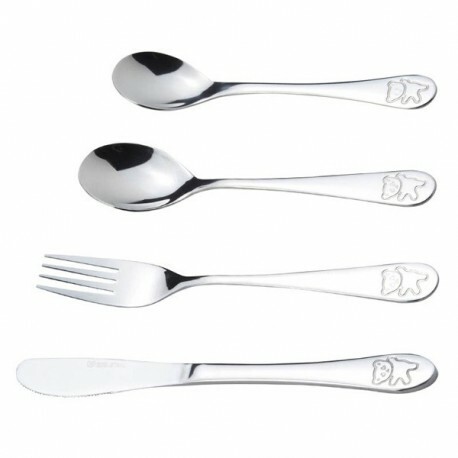 The cutlery is designed for small children is hands because of the size makes it easy to manipulate. 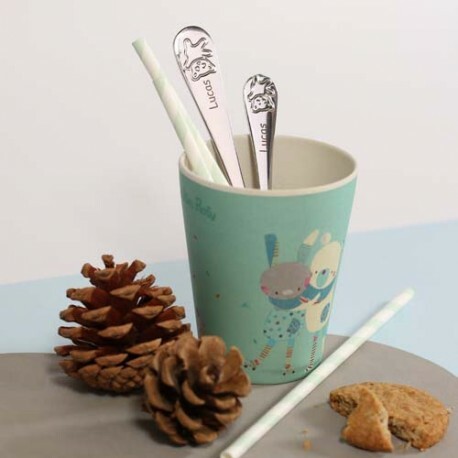 In addition, the handle is shaped so that the small hands can hold onto the cutlery with a good grip. 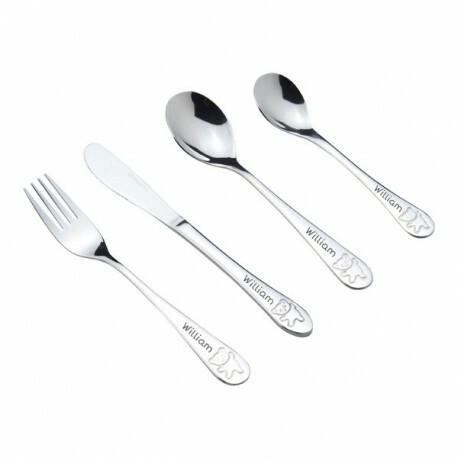 The cutlery is made of stainless steel and can be washed in the dishwasher.